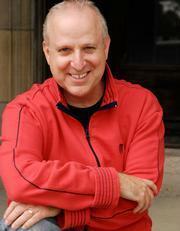 Richard E. Hess has been Chair of CCM Acting for the past 25 years of his 26 years at CCM. Recent directing credits at CCM include H2O: A Play about Water, also seen in the Cincinnati and Edinburgh Fringe Festivals, The Earth is Flat, Middletown, The Crucible, The Laramie Project, RENT, You Can’t Take It With You (ACCLAIM Award winner Outstanding University Play), Anon(ymous) (ACCLAIM Award winner Outstanding Play), Brigadoon (Cincinnati Entertainment Award for Outstanding Musical) and Tony Kushner's Angels in America, Part One: Millennium Approaches (CEA for Best Ensemble Acting). This year at CCM he directs The Government Inspector and produces the 5th Annual CCM 48 Hour Film Festival. He made his New York directing debut at the Laurie Beechman Theatre on 42nd Street directing AN EVENING OF (Mostly) TRUE SONGS (with Andrea Burns), a new incarnation of Don't Look Down, the music and lyrics of Adam Wagner, first seen in the Cincinnati Fringe Festival. Favorite directing credits at the Human Race Theatre Co., where he has been a resident artist since 1996, include On Golden Pond, Race, Red, Doubt, Proof, I Am My Own Wife and A Delicate Balance. Other credits include the Los Angeles staging of the one-woman show Besame Mucho, O.K. That's Enough (with Diana Maria Riva), and the smash hits The Pages of My Diary I'd Rather Not Read and The Catholic Girl's Guide to Losing Your Virginity, both of which enjoyed sold out runs at the Hudson Theatre in LA. For five years Hess was the artistic director of Hot Summer Nights in Cincinnati, where he directed Violet (with Ashley Brown), Hello, Dolly! (with Pamela Myers), Godspell (with Shoshana Bean and Leslie Kritzer) and the premiere of We Tell The Story: The Songs of Ahrens and Flaherty, in collaboration with Stephen Flaherty. He studied with the internationally acclaimed director Anne Bogart and members of the Saratoga International Theatre Institute in New York and Los Angeles for the past two decades. He has taught Viewpoints master classes in Beijing, China, Amsterdam, The Netherlands, Nairobi, Kenya, Tallinn and Tartu, Estonia, and across the US. He made his debut as a playwright/creator in the Cincinnati Fringe Festival with (UN)Natural Disaster, created with 13 actors, performed in an abandoned building in Over-the-Rhine, and named the Producer's Pick of the Fringe. (UN)Natural Disaster was re-mounted on the 2010 New York International Fringe Festival. He directed a devised original piece about etiquette called Naked Strangers for the 2016 Cincinnati Fringe Festival. In June of 2011 Hess directed The Collapsible Space Between Us with the Dadaab Theater Project, comprised of 5 CCM Drama students, which was presented with 8 refugees from the Dadaab Refugee Camp in Kenya for World Refugee Day sponsored by the United Nations in Nairobi, Kenya. He returned to Kenya as a Fulbright Scholar in 2014 and taught acting and directing at Kenyatta University in Nairobi and researched the creation of original works by creating the KUMI NA MBILI (12) stage show and short film. Hess was named Ernest Glover Outstanding Teacher at UC in 1999 and 2012 and was named the ACCLAIM Award Theatre Trailblazer in 2009. He is an associate member of the Society of Directors and Choreographers. MS, SUNY College at Buffalo. 1993 to To Present, University of Cincinnati College-Conservatory of Music.